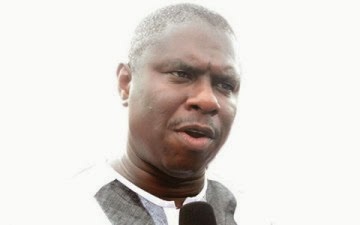 The candidate of the All Progressives Congress in the Rivers State governorship election, Dakuku Peterside, has expressed confidence that the electoral fraud allegedly perpetrated by the Peoples Democratic Party during the elections will not stand. Dakuku, who spoke in a telephone interview with our correspondent on Tuesday, explained that it was too early for the PDP to celebrate because the era of people getting away with electoral fraud was over. He also described claims by the PDP campaign that media organisations, civil society groups as well as foreign observers who issued reports based on their observation were induced. Dakuku said, “Are they saying that the European Union, the Embassy of the United States in Nigeria and several well-meaning friends of Nigeria who witnessed the sham in Rivers were induced? “You cannot cover the sun with one finger. Everybody who witnessed what happened in Rivers knew what happened. What about our party leaders and members that were murdered? He spoke against the backdrop of a statement by his PDP rival, Chief Nyesom Wike, who was declared winner of the election by the Independent National Electoral Commission. Wike had in a statement issued by his media assistant, Simeon Nwakaudu, described statements issued by monitors condemning the polls in Rivers as sponsored.